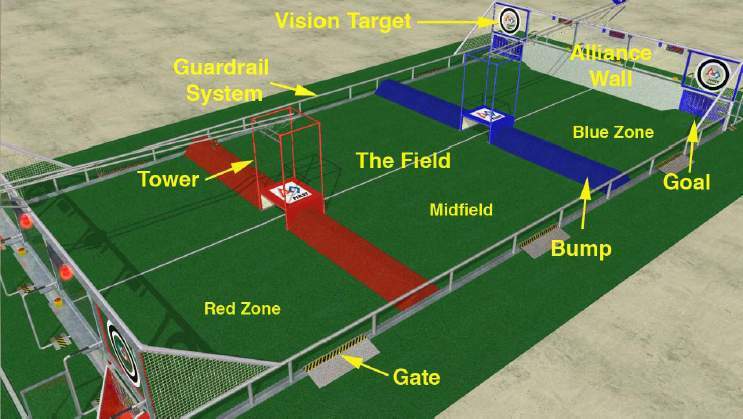 Two alliances of three teams each (a red alliance vs a blue alliance) compete on a 27' x 54' field divided into three areas by obstructions (bumps). A match begins with a 15 second autonomous period, followed by a 2 minute teleoperated period. Each alliance earn points by scoring soccer balls in goals of their alliance color. 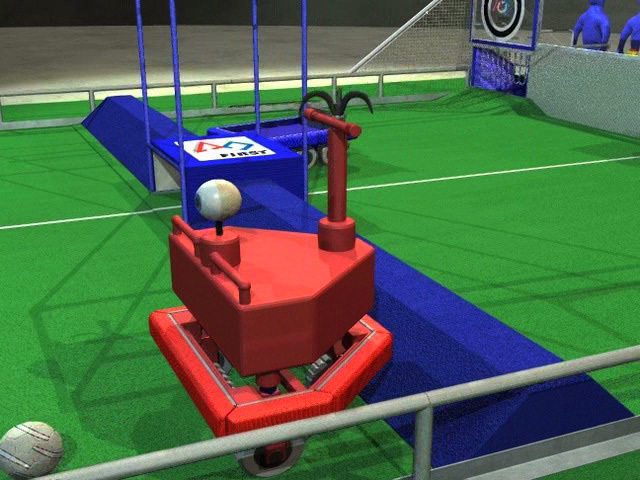 Additional bonus points are earned for each robot hanging from towers or each other and not touching the field at the end of the match. 48 Teams (.xls, 57KB) attended the 2010 SBPLI Long Island Regional.